We are one of the leading and prominent Manufacturer and Exporter of Pipe Sealant to our clients. We, Hi Bond Chemicals from 1990 are one of the famous manufacturers, exporters, and importers an extensive array of Industrial Adhesive and Anaerobic Threadlockers . 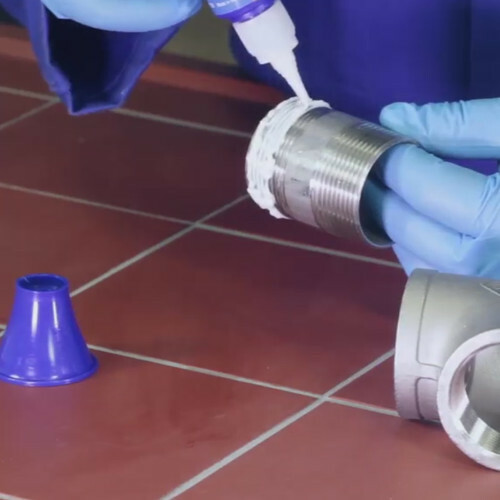 Our offered range consists of best grade Anaerobic Pipe Sealant, RTV Silicone Sealant, Retainers Adhesive, UV Cured Adhesives and much more. All offered products are prepared using highly effective ingredients at well-equipped infrastructure unit. This product range is required for their features like the accurate composition, purity and high effectiveness. Moreover, our team makes sure that this offered range of sealants and structural adhesive should be free from adulteration. Our dedicated team offers the range of products to meet the requirements of clients. We have a hard-working team of professionals that work delicately to increase the quality of the products. Our team of experts works coordinately with each other for the proper functioning of our business. With their persistent endeavors, sincerity and hard work, we are capably meeting bulk and urgent requirements of our valuable clientele. Furthermore, we also appreciate the feedback from our patrons in order to enhance our quality.